Why not have a private party at Fez? We can help you throw a birthday party, wedding, bachelor, bachelorette, or any kind of celebration. You can bring guests in our front room, and we will provide the live music, belly dancers and of course only the best Moroccan delicacies! The room is available for all occasions. Every Friday and Saturday evening at Fez we have live bellydancing, which is also available upon request, featuring the best performers in the region! We are open from 5pm until 2am Thursday, Friday, and Saturday (Kitchen open until 1:00am) and from 5pm until 1am Sunday through Wednesday (Kitchen open until 12:00am). Why not have a private party or special event at Fez? We can help you throw a birthday party, wedding, bachelor, bachelorette, or any kind of celebration. 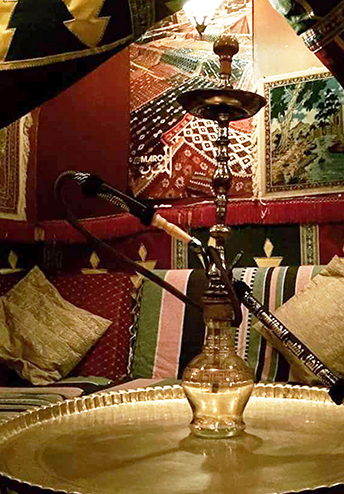 You can bring guests in our front room, and we will provide the live music, belly dancers and of course only the best Moroccan delicacies!